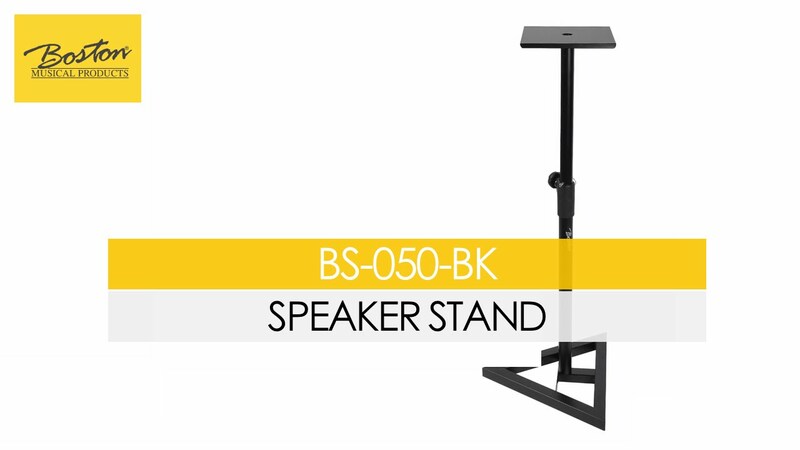 The Boston BS-050-BK is a sturdy and solid tripod for your studio monitors. It is adjustable in 5 height positions : 83, 91, 99, 107 and 115 cm. The plateau where rest your monitors comes with a protective layer to prevent and minimize vibration damage to your speakers . The triangular foot in the corners is provided with plastic feet which protect the surface and reduce vibrations to the floor .